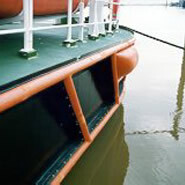 Ship fenders and the fender pads facilitate gentle docking of ships at the quayside. The enormous force acting on the quayside and thus on the ship body must be uniformly cushioned. Polyurethane is particularly suitable for this. Thanks to its low compression set, a large part of the trapped energy is released again, allowing soft docking. Large fender pads were used by the shipyard here in connection with so-called Y elements. 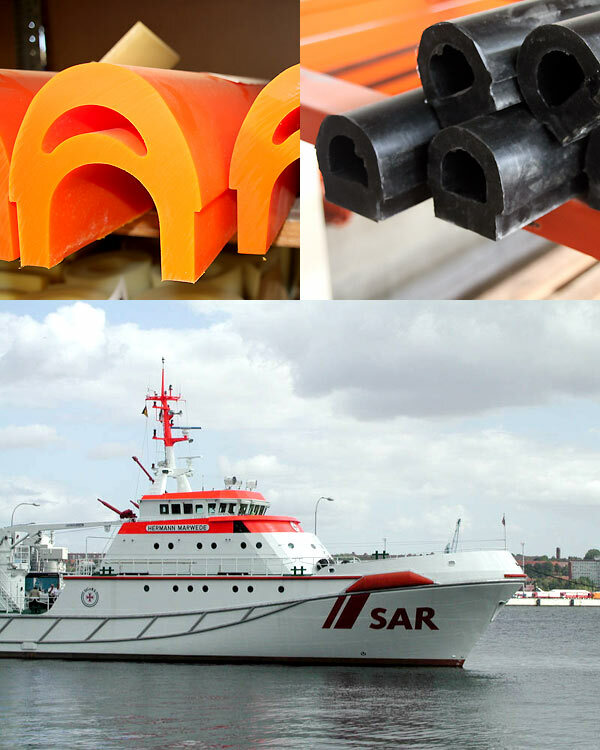 The pads are used in the area of greatest load while the combination of Y elements in the last phase of docking needs only to absorb weaker forces.